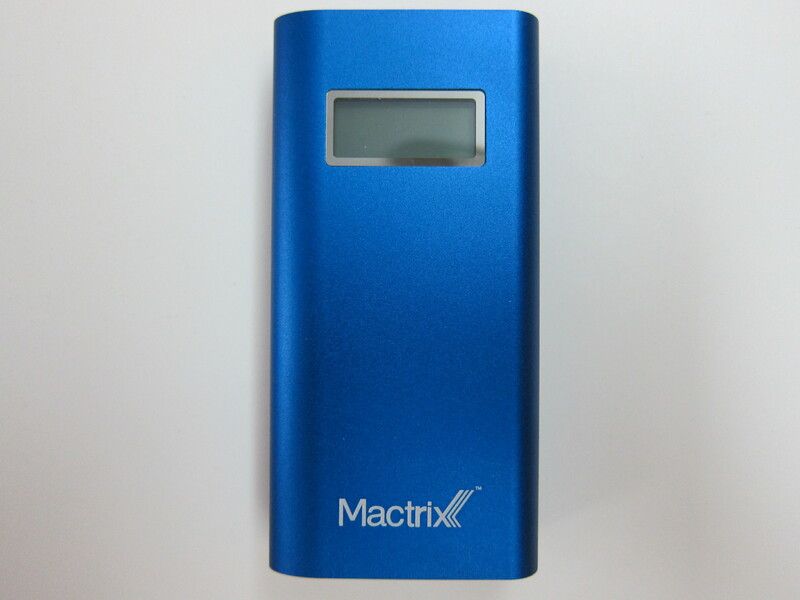 A lesser known brand of portable batteries, Mactrix, is a product of Singapore by Mactrix Creations . 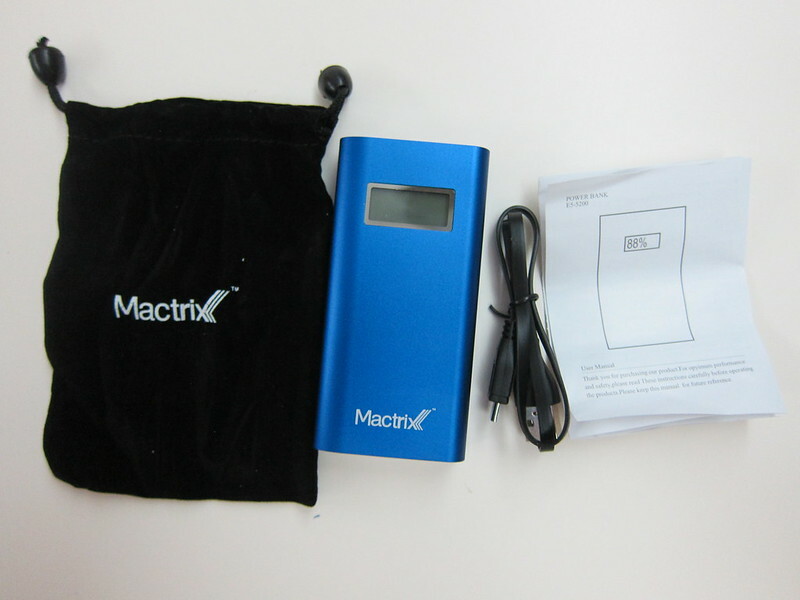 Mactrix Creations is a young innovative company focused on providing revolutionary power solutions for the tech-savvy. 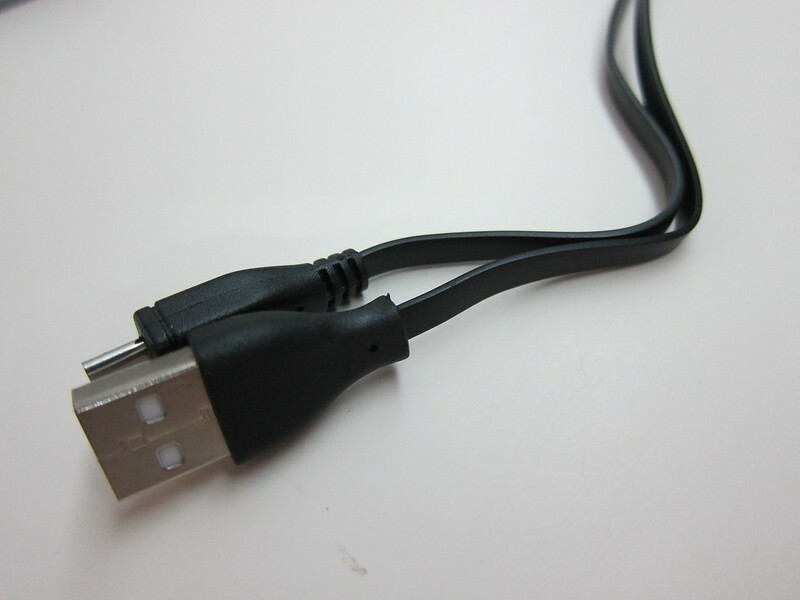 We offer a vast variety of mobile power that is suitable for most mobile devices in the market. With range of power output encased in trendy designs and luxurious metallic finishes, available in a spectrum colors. Our products aim to delivery a sense of perfect companionship for everyone constantly on the move, whether to work, school or traveling around the world. Our products create a sense of fashionable and luxurious lifestyle with the use of colorful, trendy and high quality materials. When I mention that it is a product of Singapore, it means it is designed in Singapore but assembled in China (Apple always used designed in California but made in China). 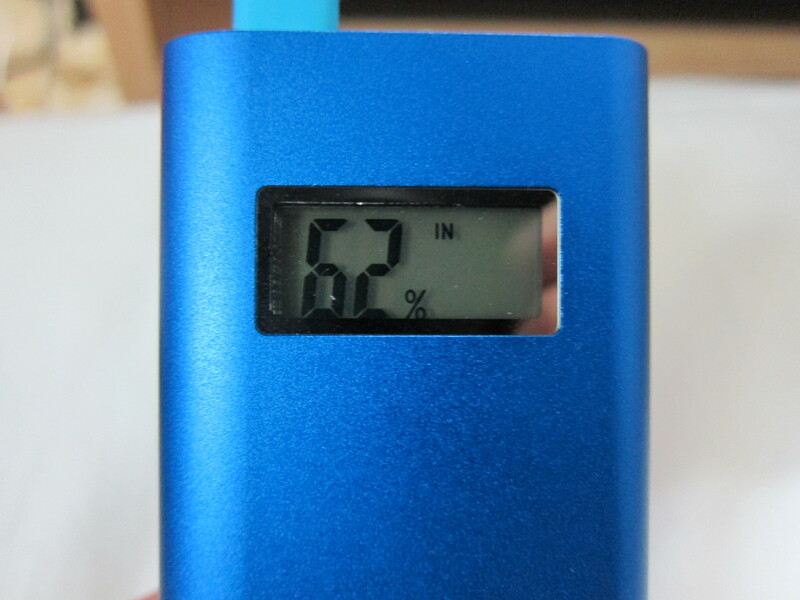 Rest assured that the battery inside are original Samsung cells from Korea and it has overheating protection. 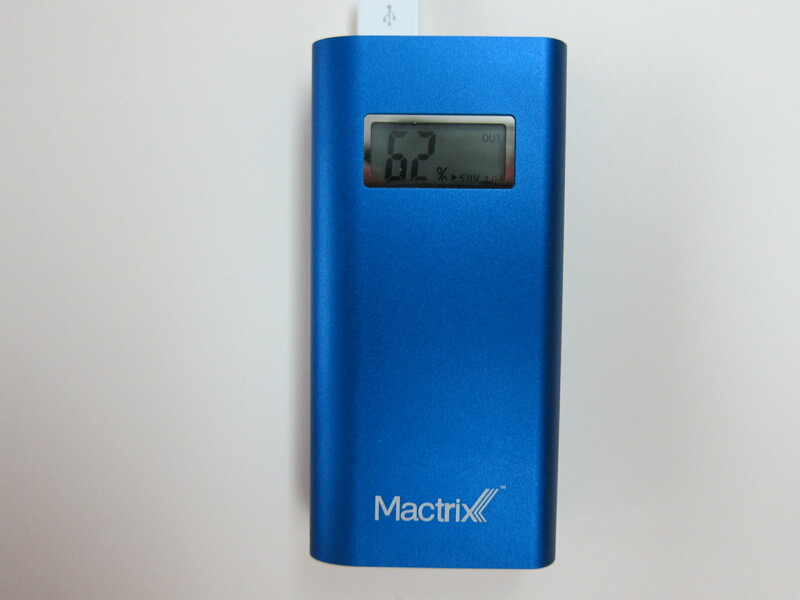 The Mactrix Dual  is a new range of portable batteries offering two USB output ports (1.0A and 2.1A). 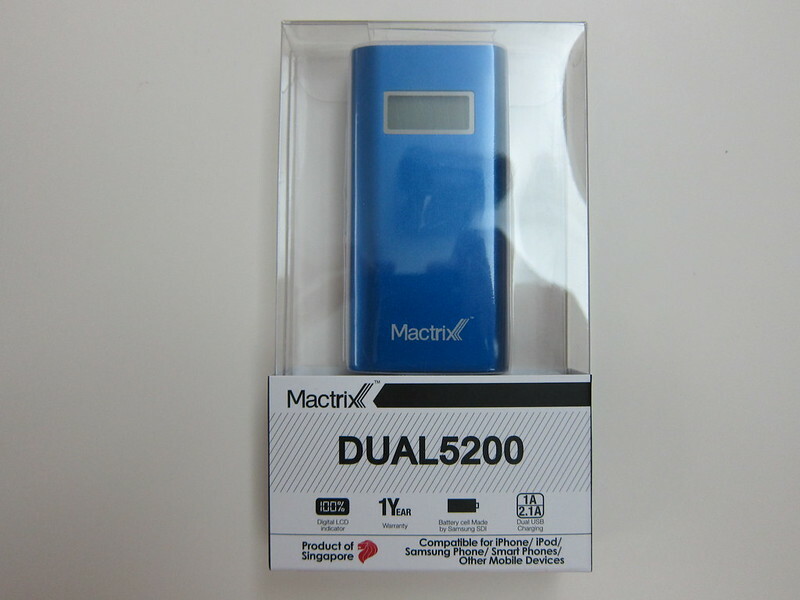 There are two different capacity right now in the Mactrix Dual range, the Mactrix Dual 5200  and the Mactrix Dual 9000 . 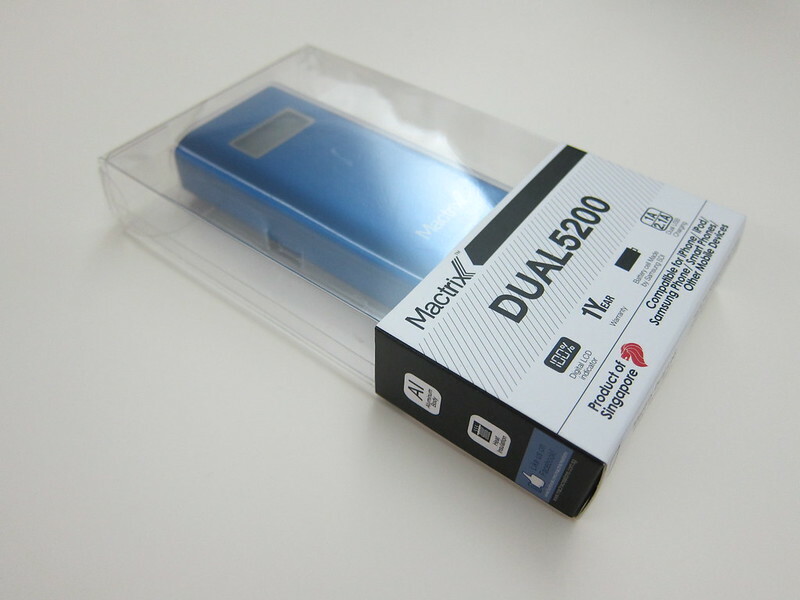 The 5,200 mAh capacity is available in four colors: red, blue, black and champagne gold for S$69. 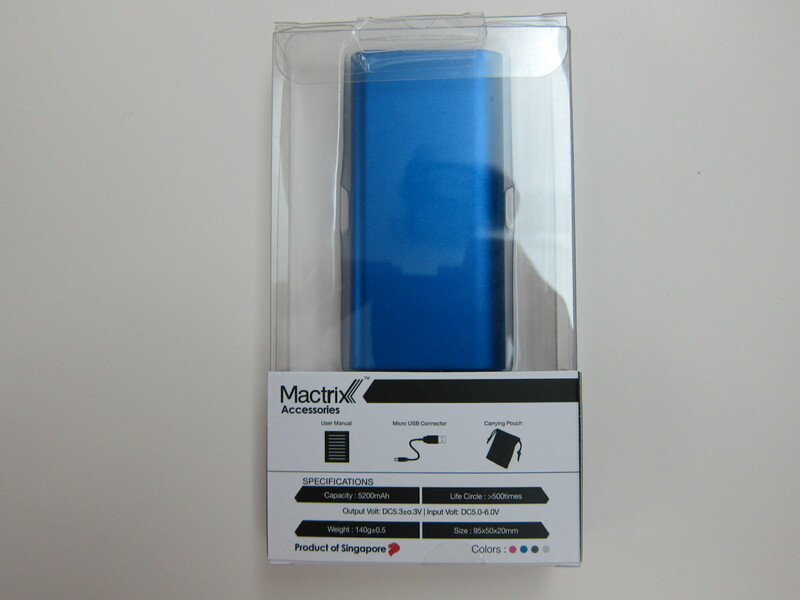 You can get it at the usual authorized Apple Stores like Epicentre , Nubox  or istudio . It is also available in Robinsons  and Isetan  as well as smaller stores like X Gear , Audio Ace Electronics, Sim Guan Electronics and Mobile8 . 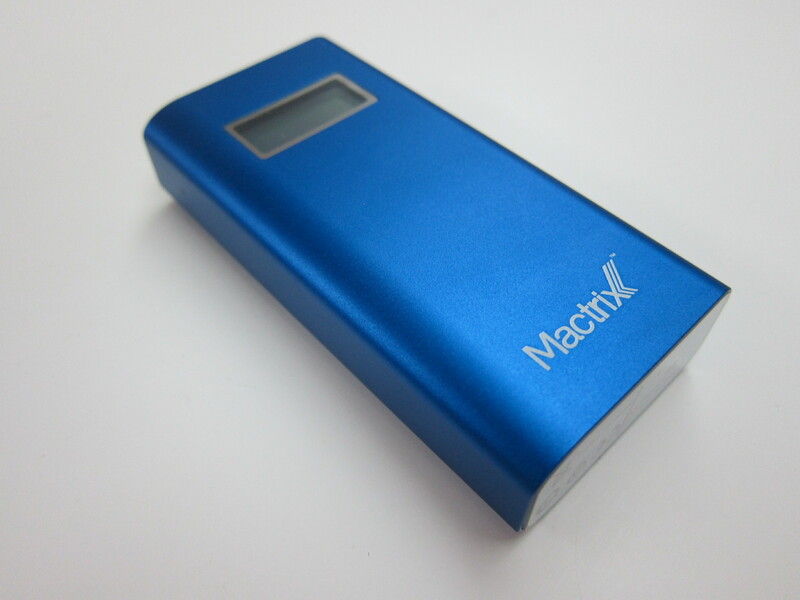 The Mactrix Dual portable batteries are made up of lightweight aluminum which feels solid when you hold it. 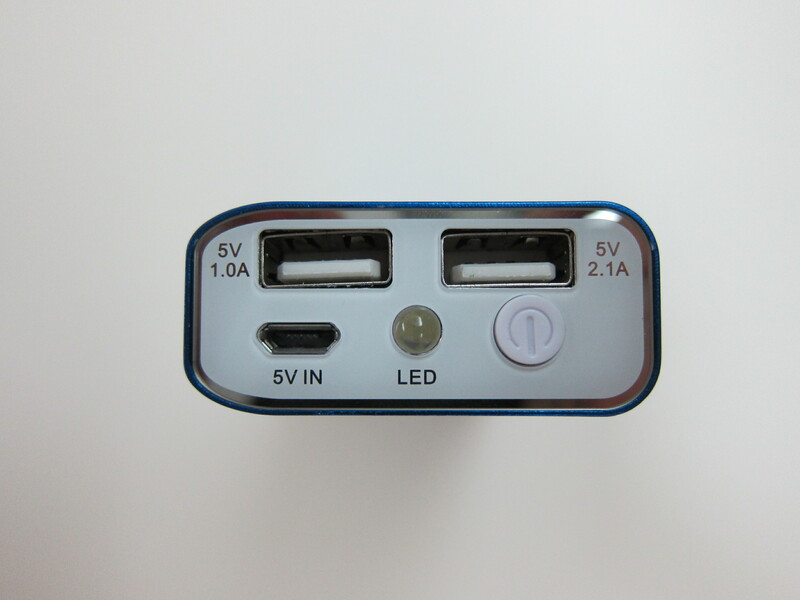 However, the plastic at the top where the ports are looks very cheaply made. I hope that can be improved in the next iteration. 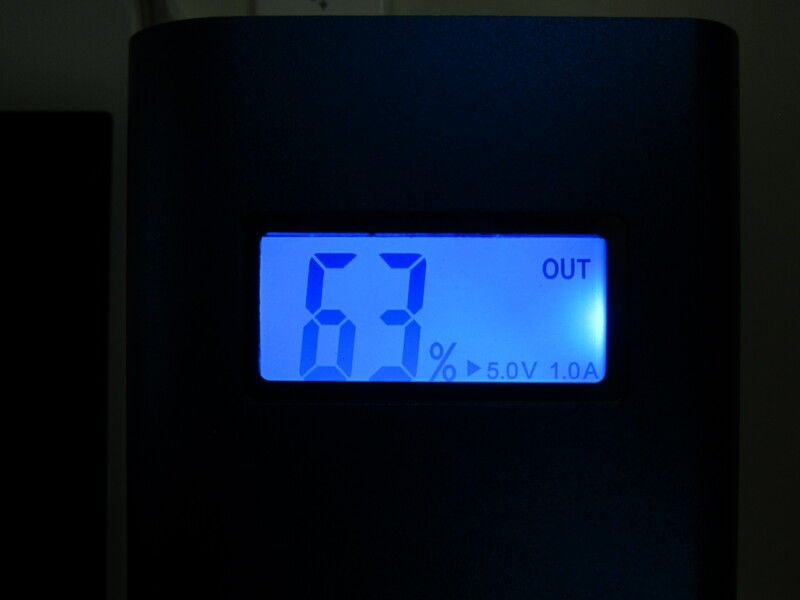 In case you have not notice, there is a digital LCD indicator in front that shows the input/output voltage and battery capacity left which is pretty useful. 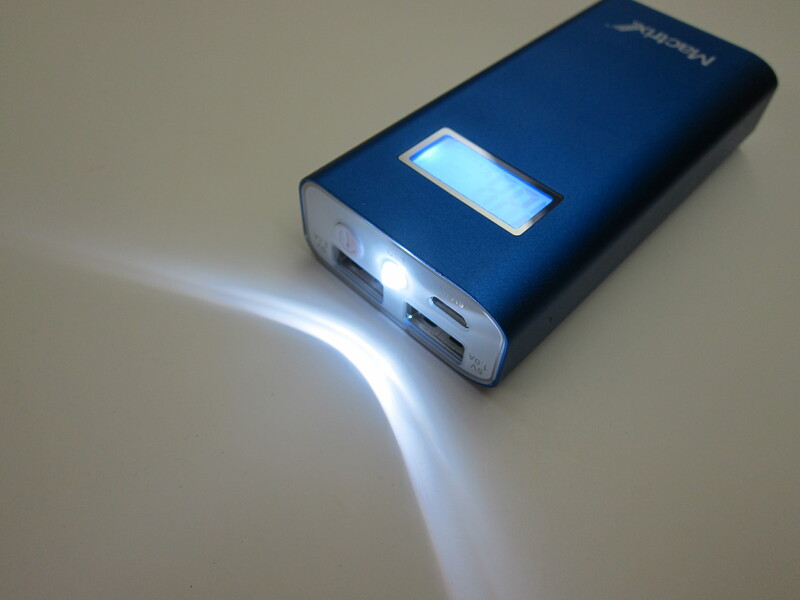 There is also an LED torch light which can be switched on by pressing the power button twice.